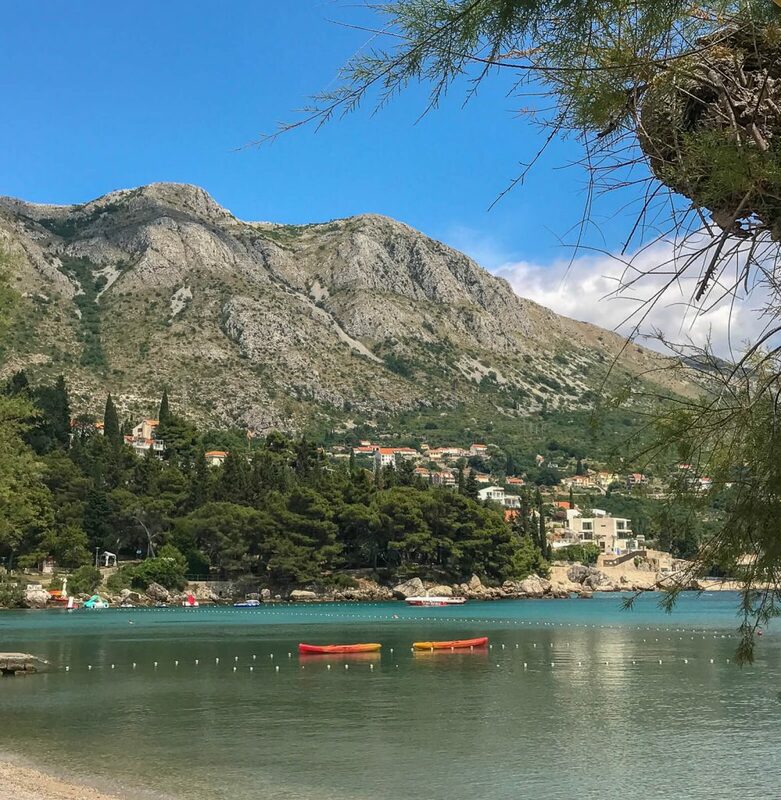 Last summer we spent one week in Croatia and although we planned to spend much of our time in Dubrovnik, in the end, we decided to stay away from the city and chose to book accommodation by the beach instead. 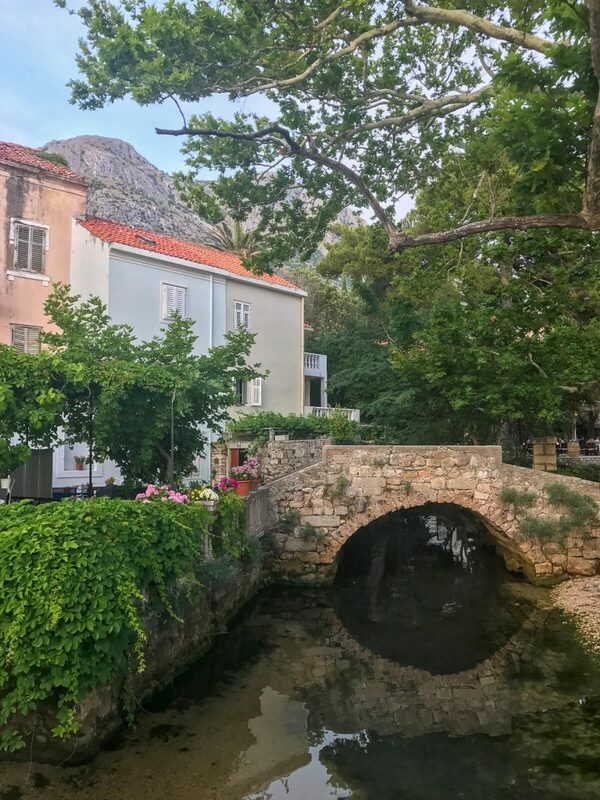 We were looking for somewhere that had a bit of history but also with plenty of shopping opportunity when we came across the beautiful village of Mlini. 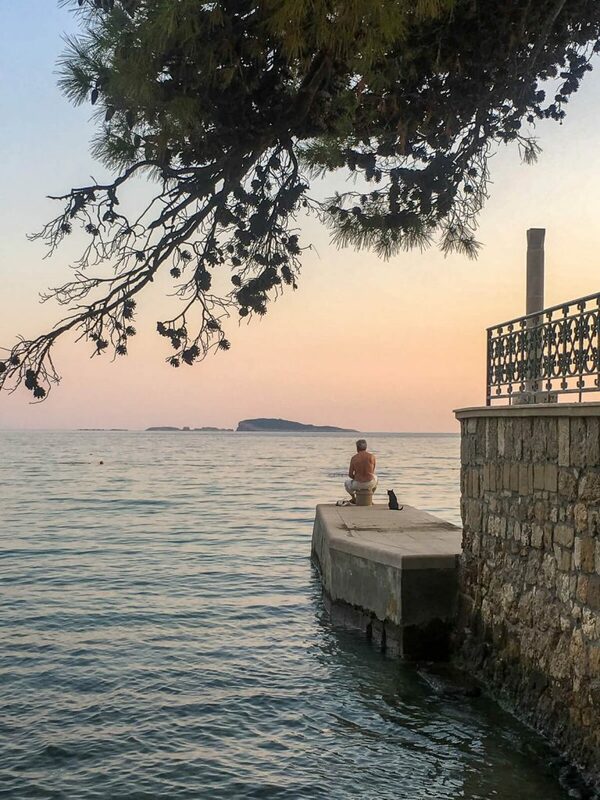 Mlini is a small fishing village in Croatia, sitting halfway between Cavtat and Dubrovnik by use of the D8 highway, making it only 15 minutes away from Dubrovnik by bus which runs every half hour, making it ideal for us and gave us the best of both city and beach holiday. Where to stay in Mlini? 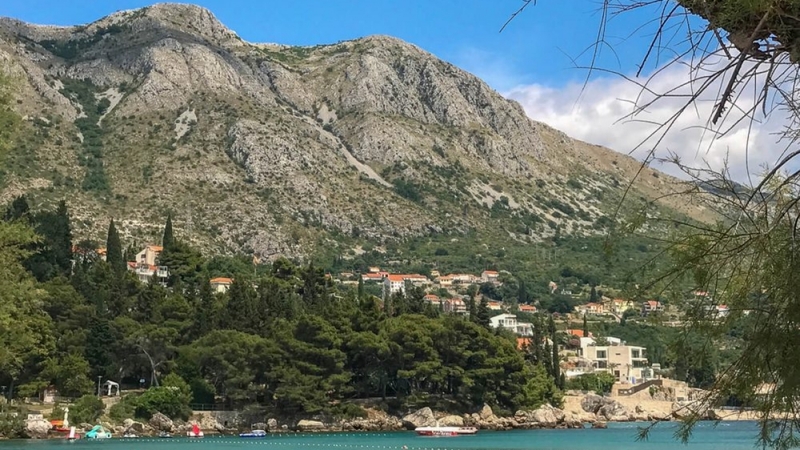 We booked private accommodation at one of the gorgeous apartments on offer through Airbnb, in doing this, we found ourselves incredibly fortunate as the owner of the apartment offered to collect us from and also take us back to Dubrovnik airport when required. He gave us some tourist tips and information on our journey and we were even greeted with some home baking by the owner’s mother and a bottle of wine to welcome us to Mlini and Croatia. Not every Airbnb experience is like this, but it was such a lovely gesture. As tourists, we are always keen to get out and explore the destinations that we visit so we weren’t looking for an all-inclusive resort although in saying that, we did have private and sole access to a swimming pool which was heaven sent when returning from a long day walking (our apartment was at the top of a very, very steep hill) and while we weren’t looking for 5 star hotels and villas in Mlini, there were plenty of options available overlooking the Mlini beachfront which looked beautiful with really incredible views (if booking hotels, two popular options are Hotel Mlini and Villas Mlini). 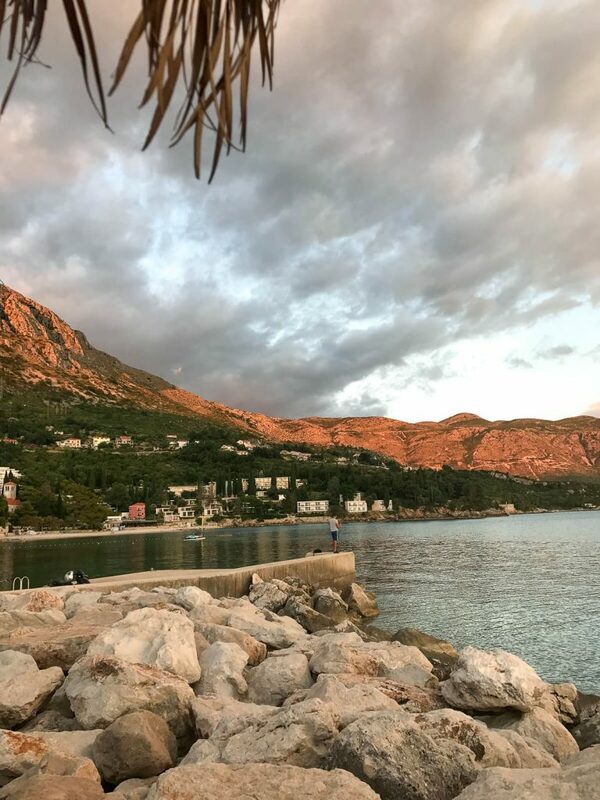 For us, the most inviting pictures that we saw of Mlini were the pictures of the beaches and as they stretch along the water, you could see that they differ from area to area. The section of Mlini beach closest to us was a pebble beach but it still proved to be a very popular local destination, next to a lot of cafes and further along there is a sandy beach and further beyond that, I believe that there is a nudist beach if you are looking to avoid dreaded tan lines. 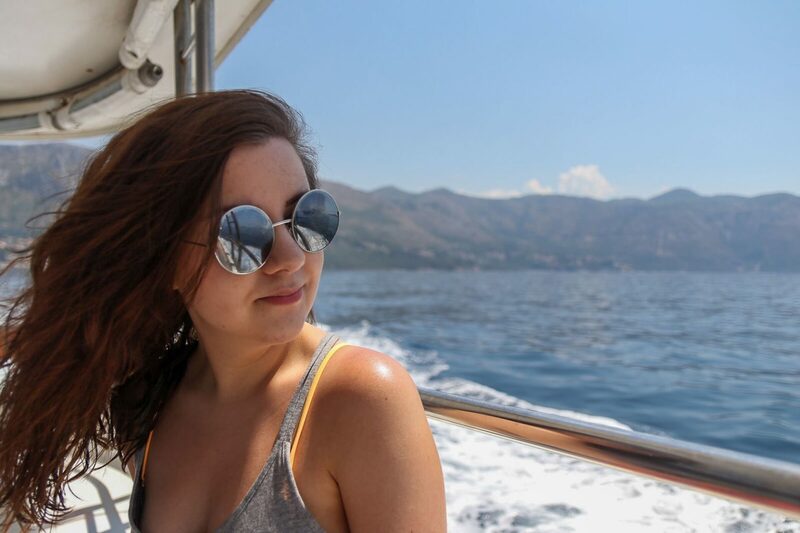 We spent quite a few afternoons by Mlini harbour, sunbathing, swimming in the turquoise blue waters and naturally, as Brits, drinking a lot of Fanta lemon and eating ice cream in the ever beautiful Croatian weather. In the evenings we would visit one of the many restaurants or bars (we especially enjoyed Cafe Bar Gusar) overlooking the water and watch the sunsets, Mlini is a really beautiful location to relax and wind down. There are many restaurant options in Mlini and fresh fish features heavily on most menus although we did have some lovely meat and vegetarian options as well, seafood was definitely prominent. Along the promenade, you will find more of the British/American style foods of burgers, pizzas and hot dogs and all restaurants are open into the late hours. Not only that, but you will find the ice cream stands and shops are open late also. In terms of shopping, it pleasantly surprised us. Dubrovnik has a lot more of the typical tourist shopping experience, with trinkets, as you may expect but Mlini has its own sub city shopping mall with clothes shops such as H&M, beauty stores and a supermarket which was very useful for us in self-catered accommodation. We did not travel during the school holidays, it was early Summer when we visited, so it may not have been the peak tourist season but as the weather is so warm, and the days longer, we did notice many families and local children by the beach after school hours and into the night which was really nice and really made us envious of the lifestyle that they must lead. 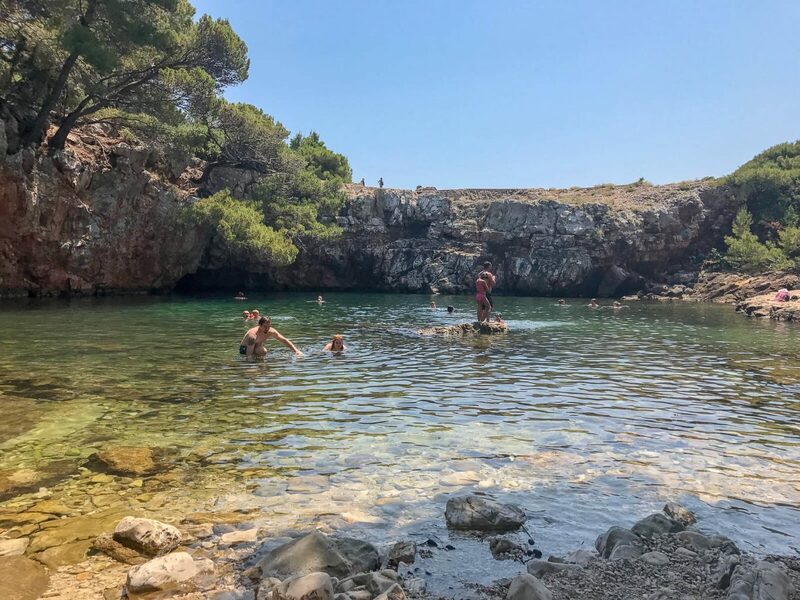 For those visiting the Dubrovnik Riviera, water sports are obviously a big attraction and with the clear water there is ample opportunity for snorkelling, canoeing, windsurfing, sailing and whatnot, but one of the most unexpected finds was the water polo pitch. It was very cool to see groups of people playing water polo in the evenings and especially as it is not something I have seen in person before. A short walking distance away is what looks like an old town. I gather that Mlini was named after the mills that once featured in the village. This area was my favourite by far, it’s very picturesque with a spring running through it, an old church and stone pebble buildings. 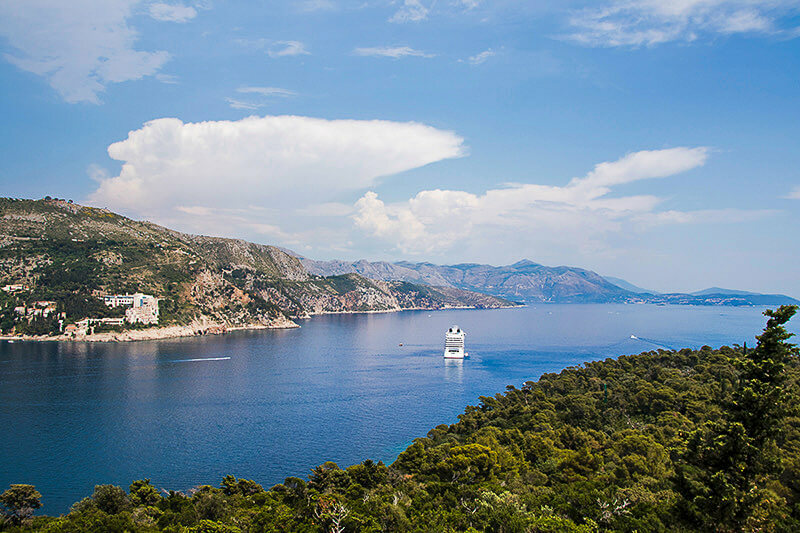 Another option is to hop on one of the water ferries buses to visit Dubrovnik old town or as we did, Lokrum Island which is absolutely beautiful, forested and filled with many wildlife, interesting history and although we have never seen it, Game of Thrones was filmed in and about Lokrum. This seemed a popular destination for those looking to visit a park and have lunch, picnics, workout or go to the popular saltwater swimming spot named ‘Dead Sea’. One more thing, and it’s perhaps for the strange like me who are somewhat enamoured with abandoned buildings, it’s one of those Youtube black holes I often fall into. The nearby village of Kupari which has a full bay of abandoned hotels which were used as a military resort and just along from another popular tourist destination, Kupari beach. These empty buildings lie with bullet and shell holes, leaving a stark reminder of the damage that comes with war. A war that was as recent as the 90s, so we’re not talking a lifetime (to most) ago. It was absolutely fascinating and haunting to see. 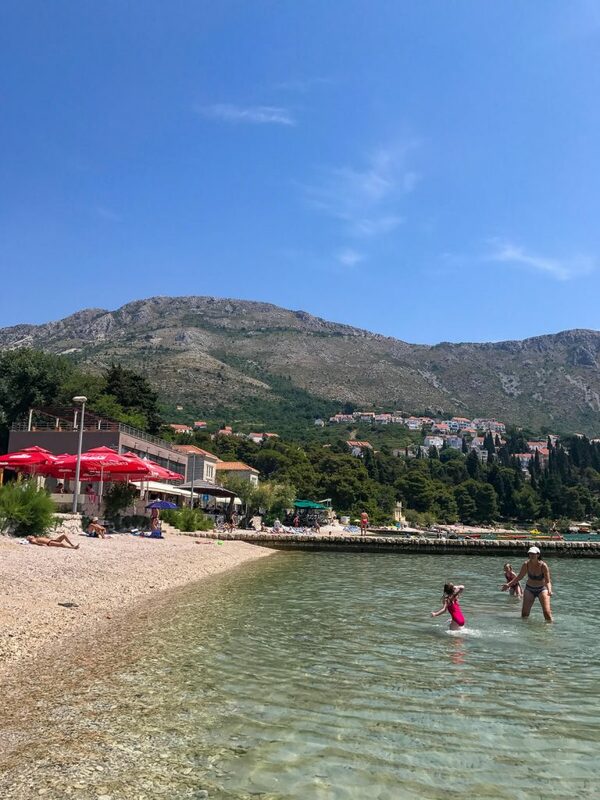 We both thoroughly enjoyed our holiday to Mlini and are so glad that we chose to stay out of Dubrovnik and experience, although nearby, another area in Croatia. It is definitely a village that I would return to and one that I would highly recommend for those with families or for those looking for a slower paced holiday as it could be considered a sleepy town. 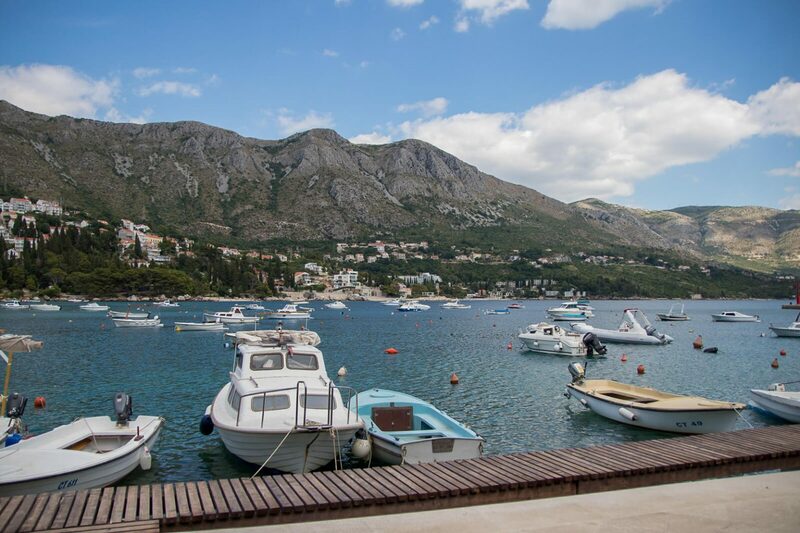 There are plenty of activities to keep young children and those that are a little older occupied while also being close to and having access to other areas such as Dubrovnik, Lokrum Island and the Elaphiti Islands at very reasonable costs. Peter may be the go to guy for travel tips and information but I like to think I bring the heart (maybe even a little humour) back into our writing. I’m Scottish and proud, a millennial 30 something and your stereotypical girls girl but as opposed to what the press may say, I don’t see those as negatives and neither should you!.